Moving from one part of the country or even from one city to another is difficult enough without being hit with sticker-shock once you reach your new destination. However, this is exactly what happens to people who do not have a realistic idea of how much their move will ultimately cost. And this kind of unexpected surprise is unnecessary as there are all kinds of moving calculators online. However, even the most accurate of these calculators can sometimes miss some of the unexpected costs of moving. So that you can avoid being surprised by your final moving expenses, our Westlake Village moving company presents you with some of the unseen costs involved in relocating your family and possessions. Start-up costs: According to Zillow, closing costs averages about 2% – 5%. Other fees involved in moving into a house include credit report fees, loan origination fees, attorney’s fees, appraisal fees, etc. Just to be careful to consider these costs when looking at your new home. New utilities cost: If you have “less than perfect” credit utility providers may demand that you put up a deposit before they connect you. You may also have to pay to disconnect at your former residence. Lost wages: Of course it you are unable to move on your day off or on a holiday you may lose money from work during your move. Sometimes this is simply unavoidable as people often have no choice but to relocate for a variety of reasons. New furniture fees: Your old furniture may not quite match the décor of your new digs. In this case, you will often need to buy new furniture items to add to your new home. Miscellaneous costs: There are some moving costs that are hard to categorize. For example, there are costs involved in getting a new driver’s license, in staying in a hotel during long distance moves, etc. Finally, we don’t mean to discourage anyone from moving. 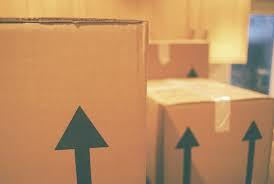 We would just like people who are about to move to have a realistic idea of what their moving costs may ultimately be. We think that people should be informed so that they can budget and prepare to move when they are able to. When you are ready to move, we have designer services in Los Angeles to suit your needs and your budget.